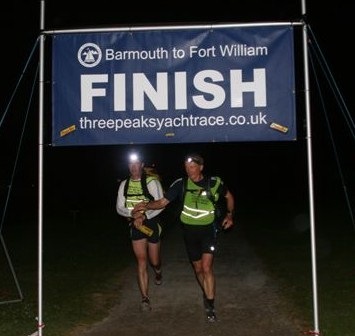 Mr Uhdd has finished The Three Peaks Yacht Race, the team had a really good time and are very happy with their overall place, in the top ten. He’s not back home yet but his dirty laundry is! My brother in law BiL who has been driving around by road supporting the event, rolled up here last night with a rucksack of the stuff. Yuk. Mr Uhdd checked in at lunch time today, it seems they will be sailing back down in the general direction of home, via a Scottish whisky distillery and with a quick hop across to Ireland and he’ll probably be back on Monday. His laundry may be sorted, but we’ve one or two other tasks lined up for him on his return. 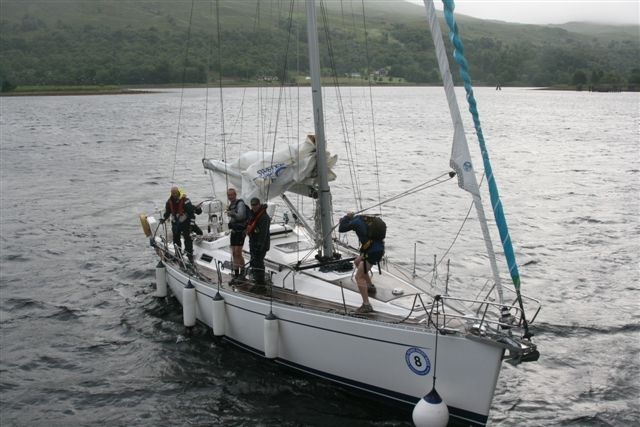 Categories: Away Days, Family, Photography, Scotland, Summer, Thoughts, Three Peaks Yacht Race, Travel, Weather | Permalink. Have fun doing the laundry. well done to mr uhdd. respect. he just keeps going and going. Is he fitted with Duracell batteries? I suppose there will be more laundry when he gets back. I recommend you put it in the pond with Spud, who will agitate it, whirl it around, and shake it out until it’s more or less dry. Looks and sounds like an amazing adventure!!! Brilliant!! Well Done Mt Uhdd!